Bailey 44 Gets an A+! Bailey 44 Extra Credit Top gets an A+ in style. 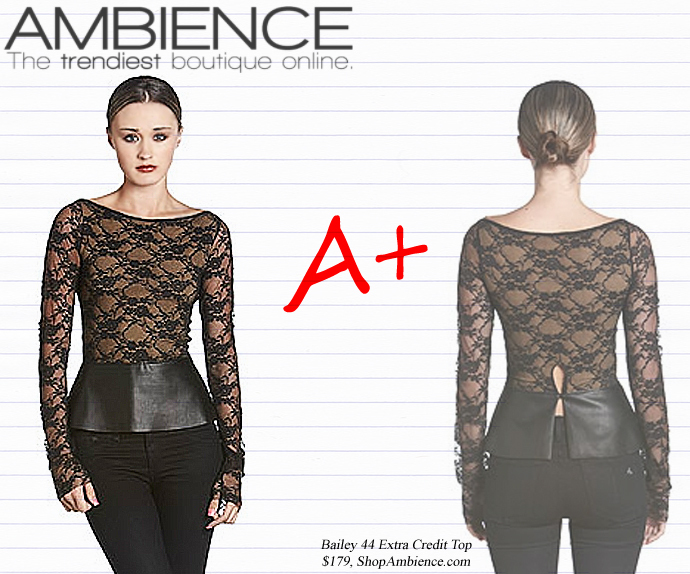 The top features lace and a leather peplum nailing the three key tends this season: lack, leather and peplum. This top will look amazing with your pencil skirt or jeans.